I’ve reviewed a fair few free-to-play titles on this blog over the last couple of years. Planetside 2, Tribes: Ascend, Mechwarrior Online, War Thunder, Hearthstone – no matter how grindy or grasping their economies turned out to be, what these games all had in common was an engaging core experience. Any one of them was a game I’d have been happy to sink a large quantity of my free time into on the basis that playing it, even without paying for it, was just so damn fun. This is the key to PC free-to-play: you have to make that core gameplay element – the one that exists outside of the level treadmill and continual trickle-trickle of soft and hard currency that forms the cornerstone of any F2P economy – fun for everyone who plays it, not just those who have paid money. If people are having fun, and spending a lot of time in your game as a consequence, then spending money on it will seem like the most natural thing in the world. Each of the above games (with the possible exception of Tribes: Ascend) grasped this concept, and grasped it well. Along with World of Tanks they convinced me that PC free-to-play was a viable model for both players and developers who weren’t Valve, and since then I’ve been happy to give other free-to-play games a spin without any prejudice whatsoever in the hopes that they’ll provide me with even a fraction of the fun that their predecessors did. 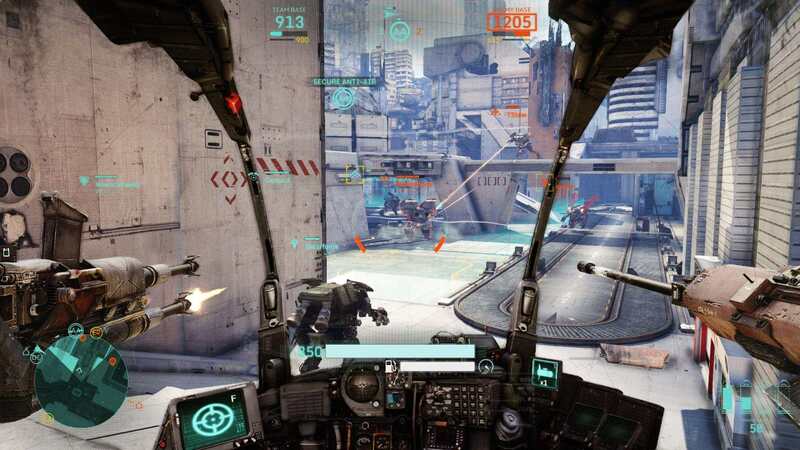 This is how I came to play Hawken, and after several hours with it I kind of wish I hadn’t.